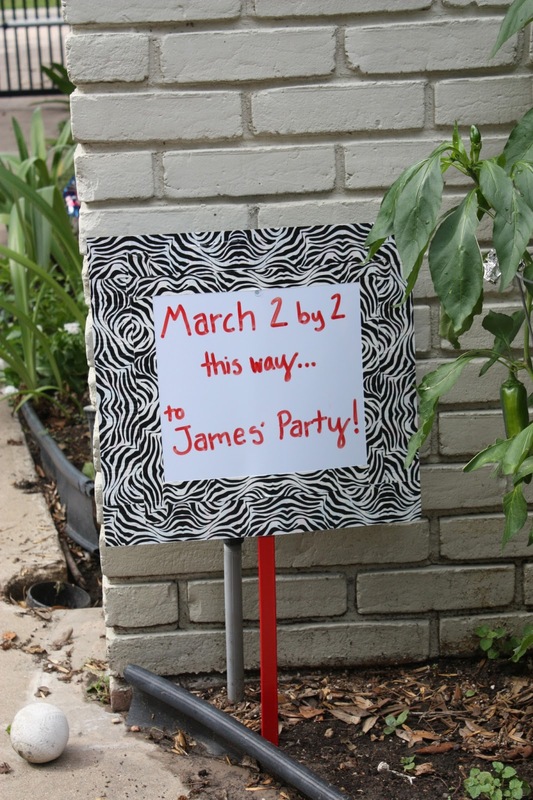 This was the sign I bought at Party City to use for James’ party. Does that look the least bit on theme to you? Exactly. You can imagine my disappointment when this was my best option the day before the party. Oh I know it is a perfectly fine sign if I were having a New Year’s eve party or a general party. But not for a Noah’s ark themed party. It was like the time my sister tried to use this sign for her Cat the Hat themed first birthday party. I sometimes am not 100% sure we are related. We ended up covering that mess with squares in her theme and Chuck’s name. So I figured I could do the same for mine. But, of course, I was running low on time (icing rainbow cupcakes) and my sister suggested using the zebra duct table I bought for the waters (it looked like this) to cover the ribbons on the side. And I realized she might be a secret crafting genius. The reason it is just an OK sign? My handwriting.